The beginning of the year marks the start of a brand new season of pet trade shows and industry events all year long. 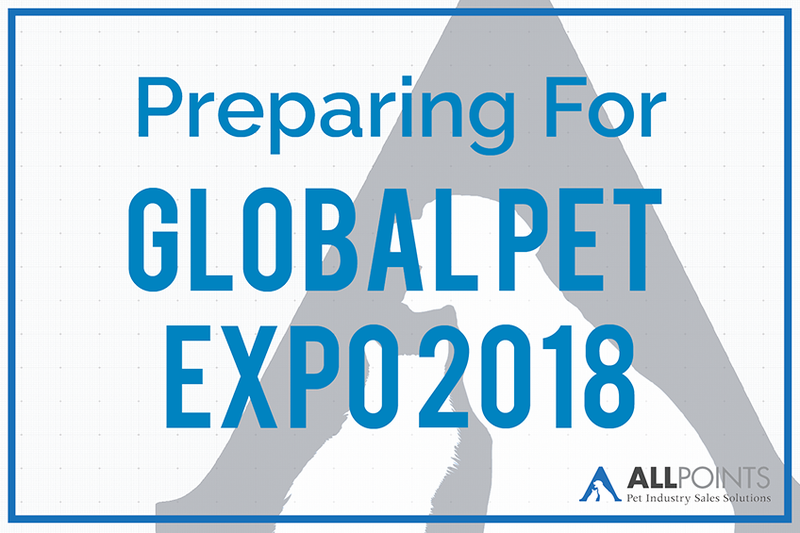 One of the most anticipated events of the pet industry is none other than Global Pet Expo, and the show is expected to be big as ever in 2018. In 2017, there were over 6,700 buyers, 1,130 exhibitors, and over 16,600 total attendees at the event. This year, APPA expects over 1,100 exhibitors, 7,000 buyers, 3,400 booths, and over 3,000 new products on the show floor. Why Global Pet Expo 2018? Global Pet Expo is an international coming together of pet industry professionals from all over the globe. It offers a chance for pet businesses to get an edge up on competition by being educated on current market trends, business guidelines, the latest products and services available to them, and networking opportunities. Plan out your days - This includes having a clear strategy (and goal) in mind for your attendance and doing your homework on products, exhibitors, and seminars ahead of time. Schedule meetings with exhibitors - Pick a few of the top vendors you must see at the event and reach out to them ahead of time to schedule a meeting. This will help you plan your timeline and make sure you see the most important vendors. Be realistic about your budget - While it might be tempting to write purchase orders for every cute pet stroller and cat toy you see, holding back and having a clear view of your budget will help ensure you don't overspend. Be social with networks and networking - With the Internet, there are multiple ways to stay up to date with the latest market trends and business strategies these days. A huge part of Global Pet Expo is being able to meet and visit with people you wouldn't otherwise see. Note: be on the lookout for these ten types of people you'll meet at pet trade shows! Have a smart plan for post pet trade show email correspondence - Once you get home, it's likely that you'll have a large number on your email notification bubble. Be smart with how you follow up; respond only to the vendors who are offering assistance and guidance, rather than just trying to sell you the next "Uber for dog treats" (whatever that means). As mentioned previously, it's smart to begin the planning process for Global Pet Expo ahead of time. There are a variety of resources you can use to get started. The sooner, the better! All Points Marketing and a few of our top brands will be present at the show! If you'd like to make an appointment with one of us or our brands, schedule an appointment here.